X-rays are also known as radiographs, which are an essential part of any medical diagnosis. Dental X-rays are the X-rays or radiographs used to take the radiographic photographs of a tooth in the dental care and treatments. Dental X-rays are very important as they are diagnostic, and can also be preventative, by helping the dentists to diagnose the potential oral health issues in a patient’s mouth. It helps to find out the dental problems before it becomes a major problem. An x-ray is a type of radiographic energy, that passes through the soft tissues like gums and cheeks but is absorbed by the dense tissues like teeth and bones. All Smile Multispecialty Dental Spa has the Dental X-rays unit that is in top-notch condition. 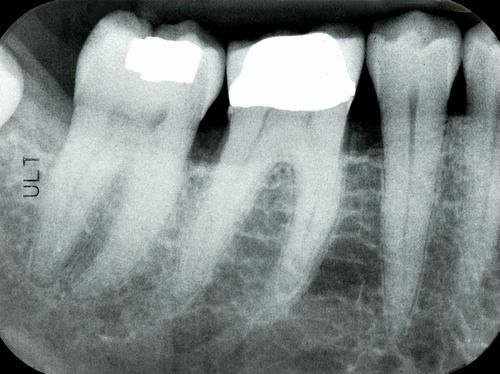 For a dentist, X-ray is a critical part of a dental treatment plan. Dental X-rays help the dentists to detect the tooth diseases and infection around the gums easily that is otherwise not possible with an oral check-up. For adults, dental X-rays show the tooth decay, gum disease, and bone loss whereas for children, Dental X-rays show the growth of wisdom teeth. ‘All Smiles Multi Speciality Dental Spa’ offers an X-rays service that enables our dentist to take ‘close-up Dental X-ray’ of an individual tooth and ‘panoramic Dental X-ray’ to have a wider view of the upper and lower teeth in the film. We take the X-rays without causing any discomfort to patients. Dental X-rays are two types. One is intraoral and the other is extraoral. The intraoral Dental X-ray is taken inside the mouth, whereas extraoral is taken outside. This X-ray gives an explicit picture of your dental condition by capturing the teeth, bone and supporting tissues. Examining the X-ray will let the dentist to diagnose the patient with the right treatment. The dental treatment progress of a patient can be tracked by taking X-Ray in every step of a dental treatment plan.